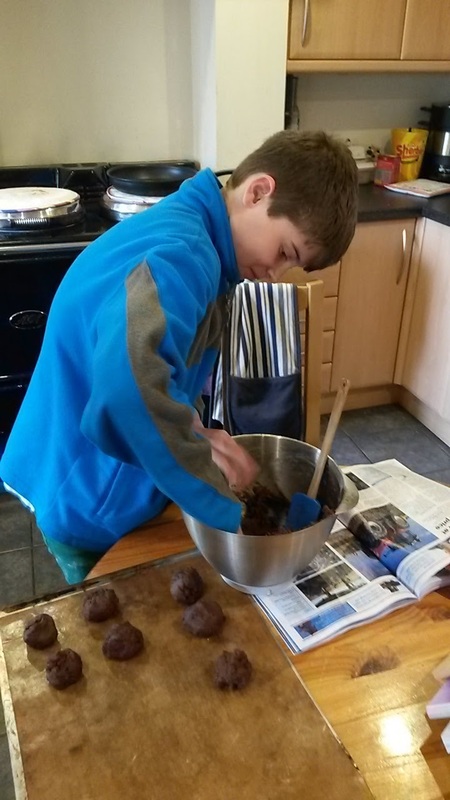 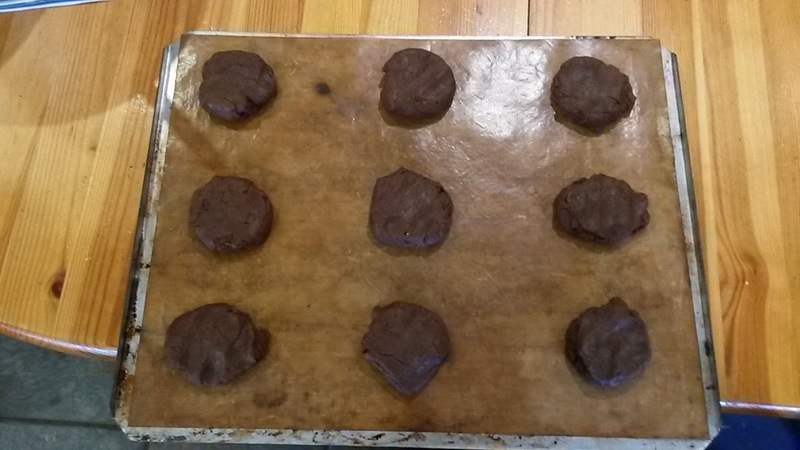 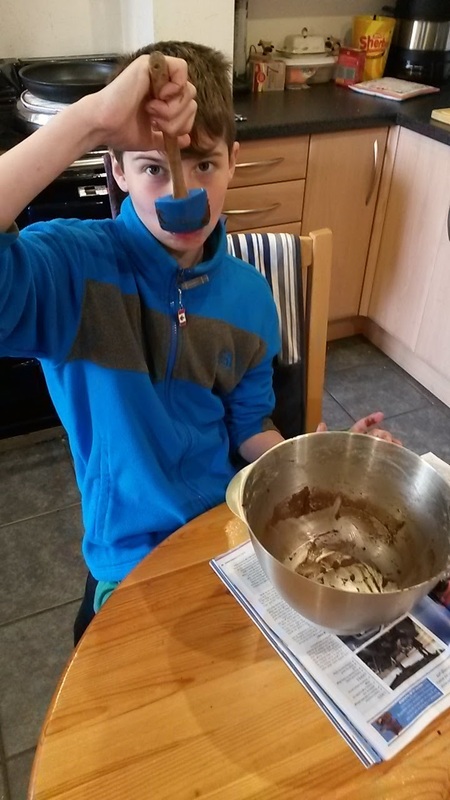 It has been a cold and wet weekend and Mark has been working all weekend so Luke decided to make some cookies. We adapted a Nigella recipe and Luke enjoyed making them. 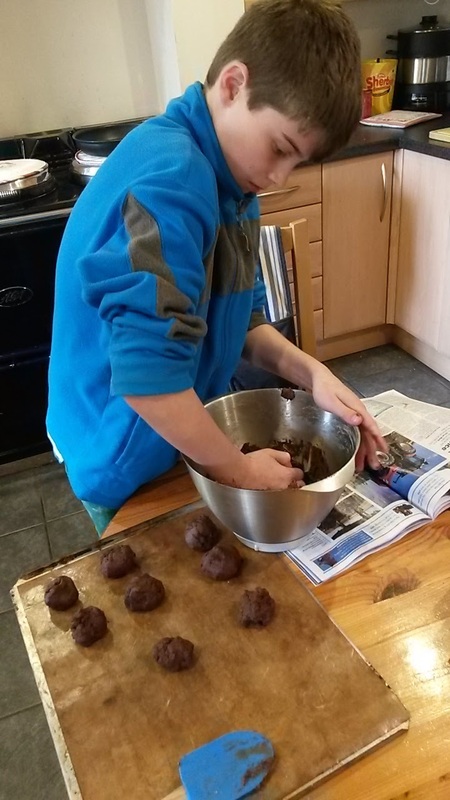 Luke is very good at multi-tasking and kept Farmers Weekly handy on the table so he could read it whilst he worked! 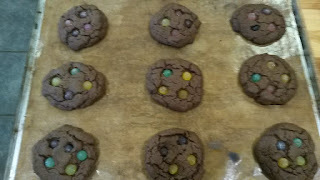 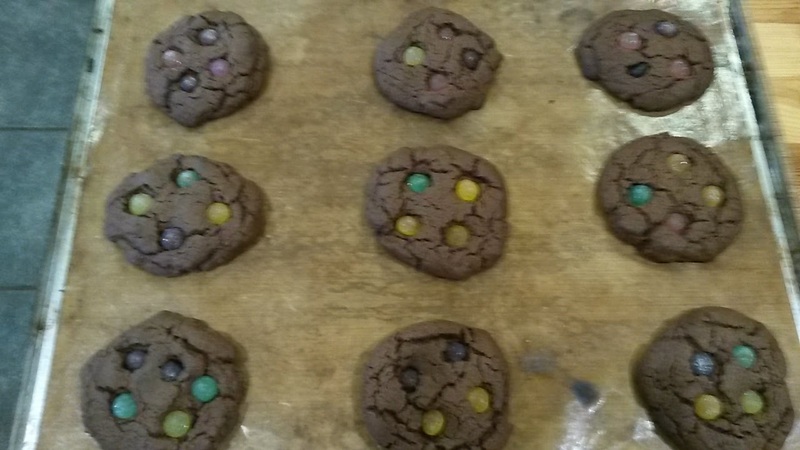 Once he had mixed the cookie dough he divided it into 9 balls and put them on the baking sheet. Once he had finished it was time to clean the bowl!